A short and simple recipe for you today. 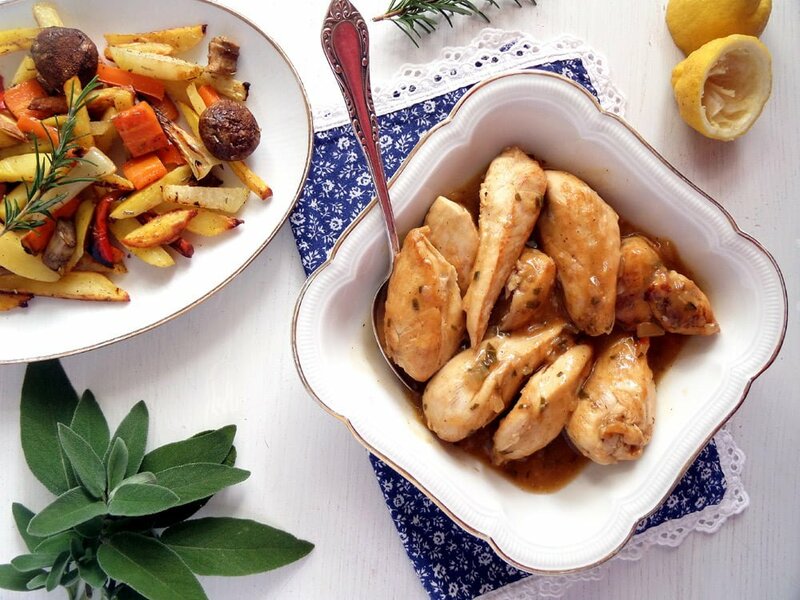 Chicken breast pieces in a lemon-herb sauce. Few ingredients, a little time spent cooking but a great result nonetheless. 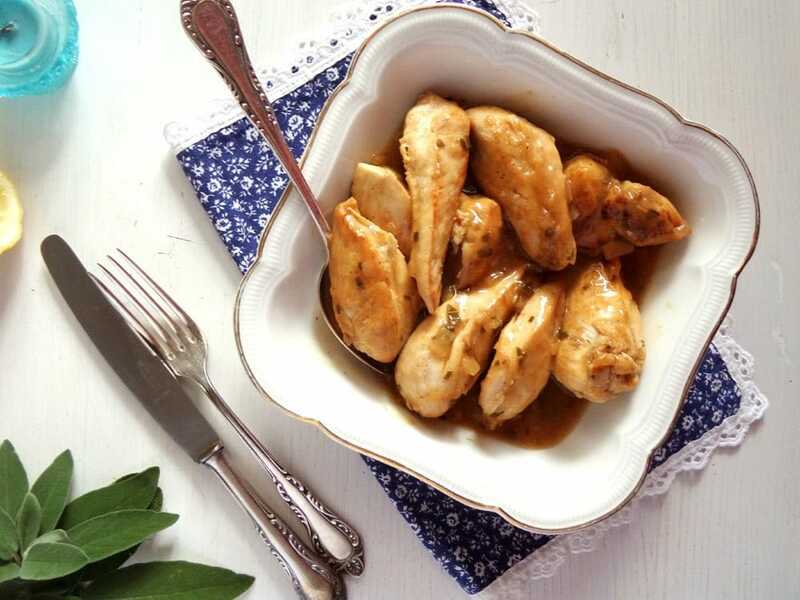 The chicken is tender, the sauce tangy and refreshing. And everything will be ready in about half an hour. You might need a bit more time if you serve this with baked potatoes and vegetables like I did, but you can choose to serve it with some Italian bread and a green salad. Then you will definitely not need more than 30 minutes for this. Wash and dry the chicken fillets, then cut them in half. Heat the butter in a large pan and fry the chicken until golden all around. In the meantime chop the onion very finely. Add it to the chicken and fry shortly while you chop the herbs. Add the herbs to the pan and cook shortly. Juice the lemon and mix the juice with 4 tablespoons water. Give this mixture to the pan, cover the pan and cook for about 15 minutes on a low flame. Remove the lid for the last 5 minutes to allow the sauce to thicken a little. Check if the chicken is cooked after about 12 minutes already, do not overcook it. It should be completely cooked through but still very tender. Adjust the taste with salt and pepper and a pinch of sugar if necessary. Those chicken fillets look really succulent and tender, Adina. It makes a perfect meal with those roasted root veggies. Thank you, Cheyanne, this is indeed a perfect week dish when you don’t feel like spending too much time cooking. 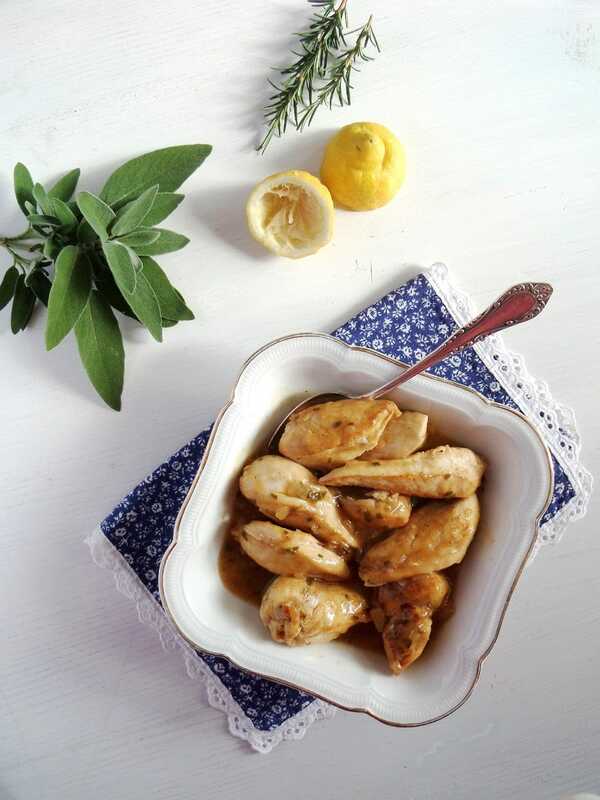 Lemon and herbs just go so nicely with chicken. 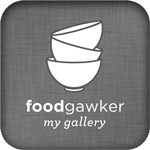 Great weeknight (or weekend) dinner here! I love Italian food. 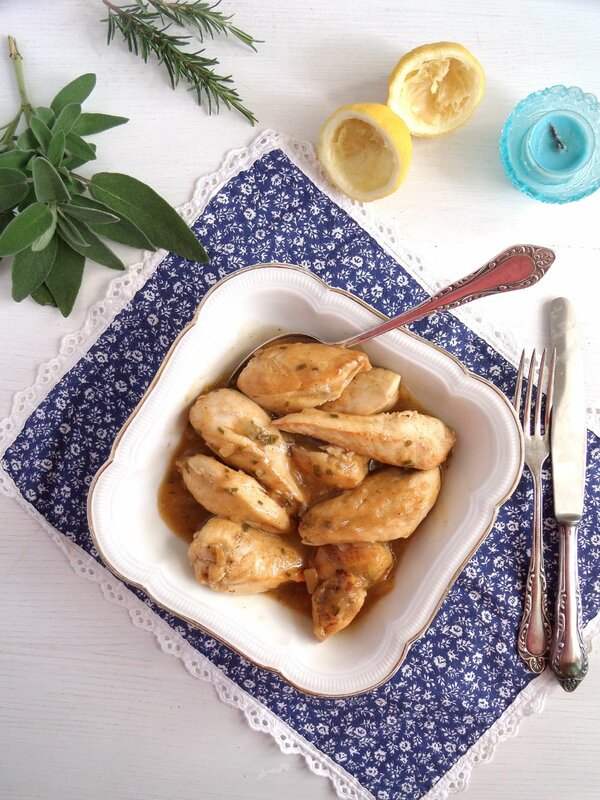 You made just the perfect combination of the lemon chicken and the herbs. And so easy to make. Thank you. I am glad you like it. ?